Jerome Boateng says he - like employers Bayern Munich - is in a very good place now that his recent injuries are behind him. Thigh and shoulder problems restricted the 29-year-old defender to just 13 top-flight appearances last term, but he has been a virtual ever-present of late, celebrating his 150th Bundesliga outing in the red of Bayern in Saturday's 2-0 win at Mainz. "I feel good, Boateng told goal.com. "I'm very happy that I'm feeling better. I'm feeling very comfortable on the pitch now. It took a while with my muscle and shoulder injuries." In peak condition once more, Boateng has already made as many Bundesliga appearances in 2017/18 as he did last season. He has also started Bayern's last eight league assignments, recording as many wins and four clean sheets. "We're playing way better than before," Boateng said, Bayern having posted 13 Bundesliga wins from a possible 14 since Jupp Heynckes returned to the helm at the start of October 2017. "[Jupp] has great experience, he's like a father figure for our team and everybody follows him. We're very happy." 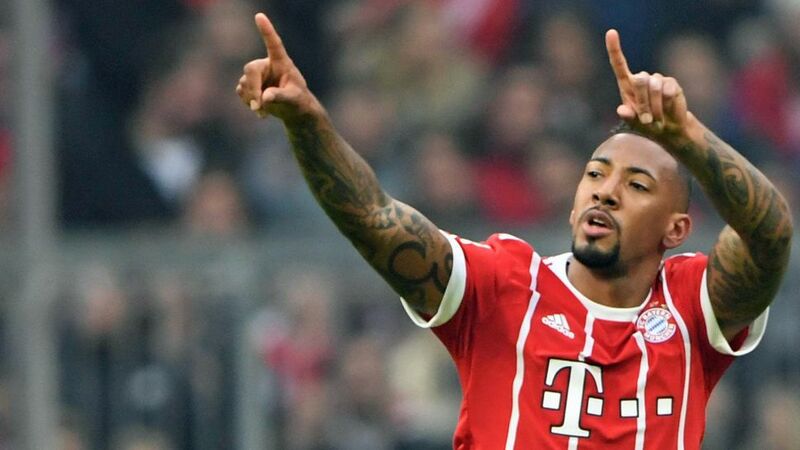 Boateng was an integral part of the Heynckes side that claimed an historic Bundesliga, UEFA Champions League and DFB Cup treble in 2012/13, but it was the subsequent tutelage of Pep Guardiola that helped shape him into one of world football's most accomplished centre-backs. "He's brilliant - one of the best," Boateng said, having added three Bundesliga titles and two DFB Cups to his collection during Guardiola's three-year stint in charge. "For me, tactically, he is the best. This season, Man City have bought a lot of good players. You can see that it's his team now. They're playing very well." Germany's World Cup triumph is another feat Boateng will be hoping to emulate. The Berlin native started every game at the finals in Brazil and - fitness pending - is a shoo-in for a starting berth alongside Bayern teammate Mats Hummels in Russia later this summer. "It's the biggest thing you can achieve," Boateng admitted. "It was very emotional, but I left it behind me very quickly. I didn't think everyday, 'I'm a world champion'. I want to set new goals because if you say 'I'm a world champion,' you don't grow and don't keep your level."